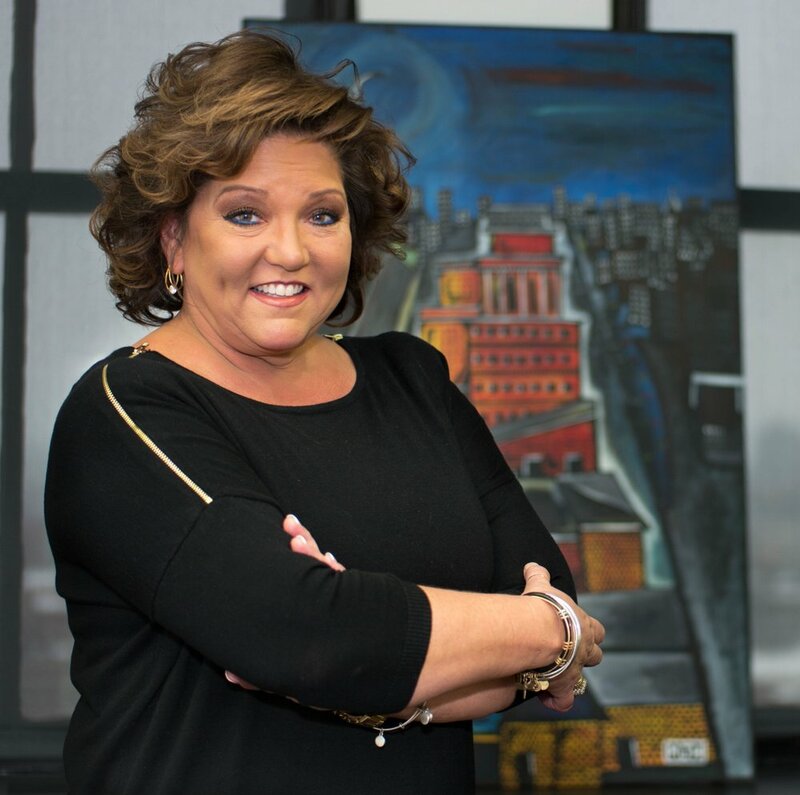 Erie, Pennsylvania is known as the Flagship City; it can also be viewed as the flagship example for small-to-midsize ecosystems across the U.S. Beth Zimmer has worked to grow the ecosystem into the powerhouse it is today as the managing director and co-founder of Innovation Collaborative. Bringing together all members of the ecosystem, Beth and her team have gone as far to map out all of Erie’s assets. Beth would like to see more emphasis put on entrepreneurial ecosystem building from a policy level, including tax credits and additional resources. Tell me about you. What’s your personal role in the Erie startup ecosystem? I am a social impact entrepreneur. I am cofounder and the Managing Director of the Innovation Collaborative. Back in 2010, I identified the need to improve and grow our entrepreneurial ecosystem. With a deep network regionally, I was able to pull together a strong team of thought leaders to research and launch the grassroots effort that ultimately resulted in the culture shift that our community is enjoying today. I serve on mission-critical boards, such as the Urban Entrepreneurs’ Project board, the Governing Body for ATHENA Erie, Penn State University Behrend’s Business School Advisory Board, the Enterprise Fund, and am the Regional Library Foundation’s Vice Chair. Prior to this passion project, I spent 20-plus years in talent acquisition and business development leadership roles with organizations such as GE, AON Consulting, & my own search firm. Can you tell me more about Innovation Collaborative? Innovation Collaboration began the grassroots movement in 2011 and launched officially as a 501c3 nonprofit in late 2014. We are the region’s entrepreneurial ecosystem builders, serving as a backbone support organization for the entrepreneurship community. With the support of Pennsylvania’s Department of Community & Economic Development, we were able to initiate this work by assessing the existing landscape in 2013-2014. A “performance improvement action plan” was developed from that assessment. This action plan laid the foundation for the work to begin. Another important outcome obtained through the assessment process was a map of our ecosystem’s assets; it is a very valuable tool for any community. The Innovation Collaborative serves entrepreneurs and entrepreneurial support organizations, such as incubators, accelerators, universities, venture development organizations, etc. We help educate the community on the importance of entrepreneurship and spread the word about all of the resources that are here in support of this fact through marketing and various events throughout the year. We stand ready to work with all entrepreneurial supporters, in any capacity that will provide improved resources for aspiring and existing entrepreneurs. We do not duplicate any services that are already being provided, but will step in to fill gaps that are identified. For example, we brought and are implementing the Ice House Entrepreneurship Program and CO.STARTERS in our region. We also conceived and hold the annual Collegiate Innovation Showcase competition for the regional universities as well as the DisruptErie Awards, a celebration of entrepreneurial success. Ultimately, the Innovation Collaborative exists to ensure that aspiring and existing entrepreneurs have the support they need, when they need it, in order to start and scale as efficiently as possible. We also work to measure our ecosystem’s development progress and communicate outcomes on a regular basis. What’s the most exciting or important development that has happened to the Erie ecosystem in the last year? Economic development and elected leaders have confirmed that entrepreneurial development is a priority focus! CO.STARTERS has launched and three cohorts have successfully completed! Girls Who Code and Women in Tech are entering the scene in a big way! Nine startups came from all over the world to participate in our Innovation District’s Secure Erie Accelerator. Several of them are staying right here to build their businesses! 850 seventh graders in our city’s schools’ social studies classes experienced the Ice House Entrepreneurship Program and it’s expanding in to all eighth grade social studies classes! Entrepreneurs and their startups are being featured regularly across all media channels. New startup capital is available! $2mm in Tech/High Growth Seed Capital from our Gaming Revenue and Ben Franklin Technology Partners. New microgrants fund from our city’s economic and community development office. The Idea Fund has launched their new microgrants/pitch contest. Opportunity zones are emerging as new mechanisms for investment in to entrepreneurial ventures. “We need more venture capital!”, is not at the top of this list, believe it or not. Our ecosystem is in the early stages of development. What this means is that the foundational work to breed more startups is far from finished. If we had a traditional angel or venture capital fund launch today, we would not have nearly enough “deal flow” (startups) to satisfy it’s goals. What we really could use is more “risk capital” for startups that need $50K-$200K investments / grants, that would support development of their minimum viable products, prototypes, customer validation, etc. A lot of startups are looking for the right mentors. I serve simply as an accountability partner for several and this seems to be very valuable to them. We need to do more connecting work with our private sector businesses and startups. Startups can help them and they can help the startups. More and more, startups here are beginning to understand the need to talk to customers earlier, which is fantastic. They’re really focusing on validating their solutions prior to going to market. This is just good business, on a lot of levels! We often use our deep network of connections locally and globally to help in these efforts. A developing trend is that startups are more focused on validation of their solutions than they are on raising capital. The secret is out that finding outside funding/investors is not always the answer. The most successful entrepreneurs bootstrap their ways to success by learning to be extremely resourceful and persistent (gritty). What makes your ecosystem unique? We are in a very advantageous geographical location. We sit on a huge Great Lake, sharing shorelines with northeast Ohio, western New York, and Canada. Logistics and other supply chain opportunities are abundant. Our quality of life, four seasons, cost of living, and accessibility to talent provide a great breeding ground for startups. There are four universities graduating talented engineers, programmers, and entrepreneurs. We are also home to the largest medical school in the U.S., LECOM. There is a culture of hard work that is embracing, more and more, the idea of entrepreneurial success, and a big push to make entrepreneurs a significant part of economic growth for the region. How involved are lawmakers in your ecosystem? Lawmakers and other community leaders have really stepped up to the notion that entrepreneurial development is a key priority this year. Many are starting to walk the talk with active support, not simply talking about the need, but resourcing it. What are you doing to engage beyond the Erie ecosystem? We have positive relationships with our neighboring ecosystems in northeast Ohio and western New York. We are also engaged in the eShip Community through the Kauffman Foundation. I personally serve on working committees that are developing standards, storytelling, and sustainability strategies for the entrepreneurial ecosystem building profession. We are also engaged in the broader (world-wide) network of CO.STARTERS communities. We’d like to see more emphasis put on entrepreneurial ecosystem building from a policy level. The work that we (across the U.S.) are doing is most often extremely under-resourced and to date, not recognized as key to communities’ economic vitality. For the startups themselves, Pennsylvania’s Keystone Innovation Zone and R&D Tax Credit programs are very valuable. More focus on expanding and leveraging utilization of these resources is important. Our goal for the next year is to make more progress toward sustainability. Ensuring that the resources are committed to prioritizing the importance of long term development of the entrepreneurial ecosystem is, and always will be, our ultimate goal.